Tryouts are held annually during late May and early June. Teams that need to add players can do so at anytime. 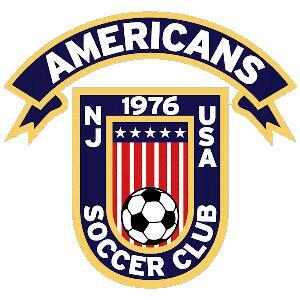 All player applications must be approved by the Americans Soccer Club before a player can join a team. When a team's coach invites an approved player to join the team, and the player accepts, both the team and the player are bound to that commitment for the remainder of the soccer year. Please arrive 15 minutes early to register. Players should wear shin guards and appropriate footwear, and bring drinking water. Please fill out Tryout Registration Form prior to attending & bring with you to the first session. Go to the "Board/Coaches" page for appropriate contact info. Girls- Wednesday 11/10/04 from 3:45-5:00 PM & Saturday 11/13/04 from 9:00-10:30 AM. Boys- Thursday 11/11/04 from 3:45-5:00 PM & Saturday 11/13/04 from 10:45-12:15 PM. All tryouts will be held at Presentation Church, 271 West Saddle River Rd in Upper Saddle River. All attendees must have cleats, shin guards, # 3 ball & water. We request that all who are interested contact us in advance of tryouts at the following: Jimmy Tramutola- 201-818-2512. Email- cjangels@optonline.net.